While some destinations are known to be safer than others, no such place exists where your client’s safety is guaranteed. The holiday season ensures a surge in business, with travelers wanting to spend the holidays with their families, or escape them completely for some rest and relaxation in a warmer climate. Traveling internationally, or even domestically, can cause some anxiety in even the most seasoned of travelers. 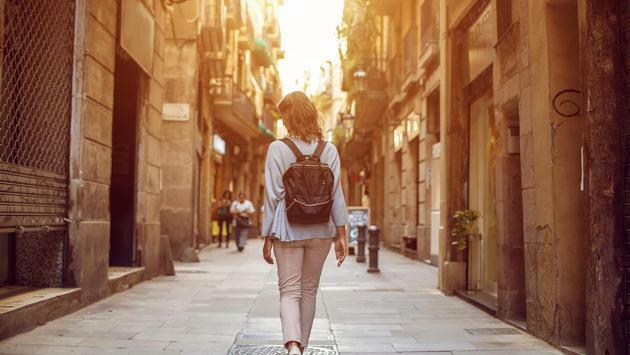 After watching the news or reading the latest articles—often times consumed with headlines regarding theft, sexual assault or murder—clients will inquire about the safety of their chosen destination. Help them put their mind at ease with a few tips that can help keep them safe during their travels. Walking with our heads down, taking that corner without even glancing up, passing hundreds of people without acknowledging their existence—it all makes us vulnerable. Keep your head up. Look around. Say hi, make eye contact, or just smile at those you’re walking by. You’ll blend in more, you’re more likely to be remembered and you’re less likely to look like that simple, easy target. Blend in with the locals. Nothing screams easy target more than an out-of-towner that has no idea where they’re going or what they’re doing. Those hotel employees, restaurant staff, taxi drivers and shopkeepers are the perfect place to start. While you don’t want to be too nosy, it doesn’t hurt to ask their name, what they love about the area or even about their family. Show them the same courtesy you’d want to be shown. Maybe in return, they’ll make the extra effort and keep their eye on you and anything questionable going on around you. Know your limits with alcohol. Of course, traveling is all about having fun and making the most of your time away—but that doesn’t mean we need to get too carried away. While drinking does not give anyone the excuse to harm another, it sadly does make them an easier target to potential crimes. That last glass of wine or bourbon you’re considering? You don’t need it. Most of all, never accept an opened drink from another if you didn’t see the making from start to finish. Don’t leave your drink sitting around, and keep it close to you at all times. Leave the shimmering jewels behind. Those ruby earrings, that fancy watch and the diamond necklace you love so much, you really don't need them. Sure, the extras make us feel better, but it also shows money. Wealth. This is especially important in poverty-stricken international destinations. The last thing you want to do is show the locals, who don’t have much to call their own, that you’re an easy target for mugging. Oh, you also don’t need that $5,000 in your wallet. Stash your money in multiple safe places. Finally, do not travel alone. One of the best things about vacation is leaving the rest of the world behind, but it’s definitely not the safest. Use common sense. Don’t walk alone in dangerous neighborhoods. Walk with your travel companion at night. Don’t steer too far from the hoards of people at the same place you are. If worst comes to worst and you do find yourself stuck alone or you feel like someone may be following you, duck inside a hotel or restaurant and stay there until you feel the threat is gone. While these tips won’t guarantee your client’s safety, they’ll go a long way in giving them the added peace of mind that they’re doing everything right in preventing the worst from happening during their travels.